The so-called Cascade complex, located in the center of Yerevan is the favorite place for many Yerevanians, especially the youth. The complex has passed a long and difficult road until it reached us with its today’s look. The Cascade project was planned by the Armenian architect Alexander Tamanyan (1878–1936), who aimed to make Cascade a bridge between the northern and central parts of the city, decorated with waterfalls and gardens. However, the project was “frozen” until the second half of the 20th century, when Yerevan’s Chief Architect Jim Torosyan restarted it. Some modifications were made to the project and the construction works of the updated plan started in the 1980s. The Armenian earthquake in 1988 and the break-up of the Soviet Union in 1991 were also obstacles for the Cascade project. 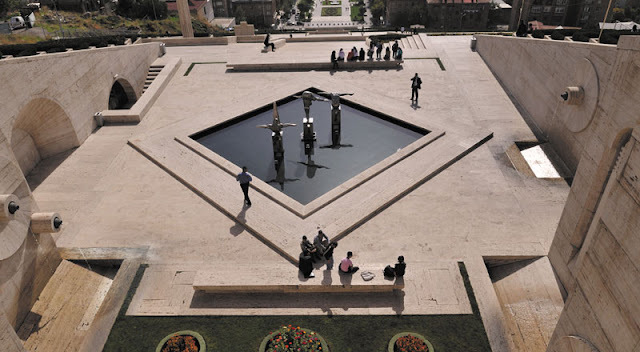 The renovations of the complex restarted only in 2002 by Gerard Cafesjian, which resulted in what we have today – the Cascade complex, housing the Cafesjian Center for the Arts. 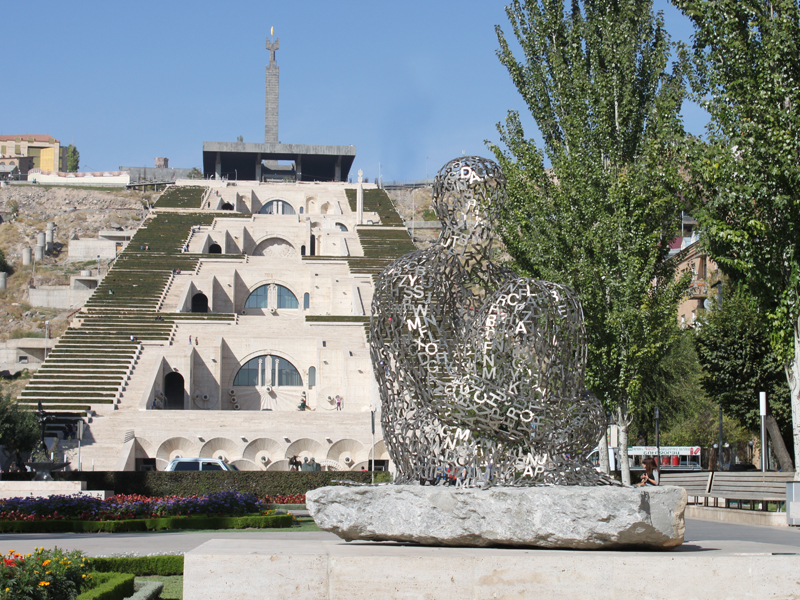 The Cascade complex is indeed the favorite part of Yerevan for many Armenian, offering a whole complex of benefits. 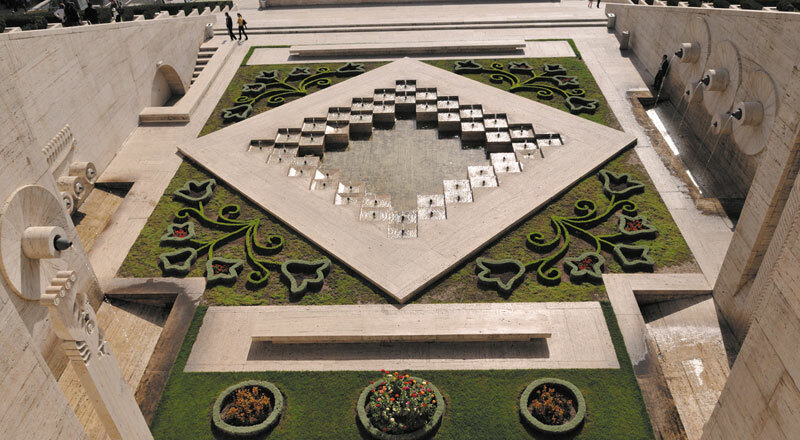 It serves as a park for kids, as a place to relax, to read books, an open-air concert hall and an open-air museum. Some of the artworks from the private collection of Mr. Cafesjian are presented outside of the building. Each month the Center offers us new pieces of art, making us visit Cascade regularly for latest updates. The collection includes works from by Fernando Botero, François-Xavier Lalanne, Barry Flanagan, Jaume Plensa, Lynn Chadwick and others. Inside the building there is an escalator that leads to the terraces of Cascade stairway and the halls of the Cafesjian Center for the Arts, where visitors can find interesting art pieces. The view that the Cascade stairway offers is something to speak about. Te higher you climb, the beautiful the scenery becomes. 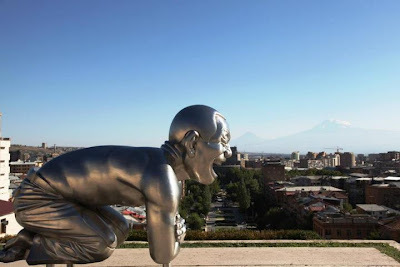 A wonderful view of Yerevan city opens in front of you, which is much more admirable in the sunset. 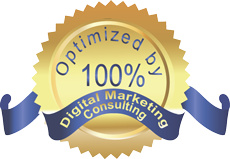 price for a single link in your article that already exists? I await your response as soon as possible.